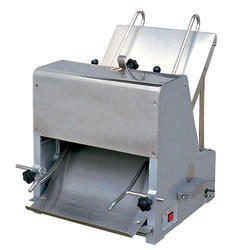 Bread slicer india high speed toast slicer satyam bakery machines rajpura. Specifications: Operation: The loaves of bread, rusks & cakes are placed one behind the other on the feeding tray. All types of white & sweet breads, rusks can sliced without wastage or damage. 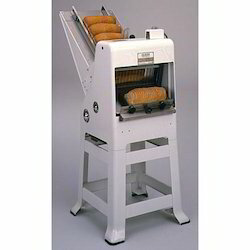 Vertical running knives cut the loaves into equal thick slices as per requirement. The cut slices come out at the output end.